It's a writer's world! : And now...FRESH ICE IS AVAILABLE! And now...FRESH ICE IS AVAILABLE! Well after much blood, sweat, and tears, countless cups of coffee and more pinot noir than I care to admit to, Fresh Ice, my latest romantic suspense novel, is finally available in all formats! Want it in print: Click right here! Got a Kindle: Click right here! Got a Nook: Click right here! Got a different sort of e-reader, or want to read it on your computer: Click right here! Remember, like all indie authors, my books live and die by word of mouth! 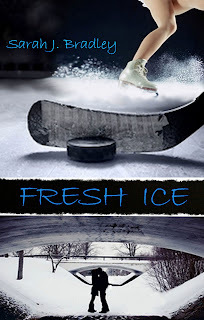 If you love Fresh Ice, please leave a positive review on the site where you bought it. If you don't love Fresh Ice...maybe just keep that to yourself!